Leave me a comment telling me your favorite way to use mandarins when you cook. I’ll draw a winner on Thursday November 20th. ← It’s Time For Mandarin Festival! Ymmmm…I like to use them to stimulate my olfactory senses when I start the peel, then my fingers get to squish the wedges of tasty goodness, then POP-before I can begin cooking-it jumps in my mouth where I use my taste buds to enjoy this little treat. That’s how I use them in cooking! Mandarins in ice water to drink. Mandarins in jello, in a green salad, in wild rice. They are marvelous anyway you eat them. Fresh just peeled is awesome! Love mandarins in fresh spinach salad or sauteed with chicken served over rice. So good and so healthy! I use canned mandarins in summer salads. Its super yummy. – Romaine Lettuce hearts, cukes, strawberries, mandarin slices, feta cheese, raspberry vinaigrette… Sometimes crumbled bacon. Sometimes a meat, like chicken. When I have them, I add candied pecans. I’ve also dipped fresh mandarins in melted chocolate and given to my kiddos as treats. I always used mandarins in a sauted veg medley to add an element of sweetness to bitter veggies like broc rave. Mason! Your mom just showed me your Fox40 appearance–you’re killing it! I LOVE crepes. Have you ever tried them with butter, sugar and lemon? So tasty. Hmmm, I love mandarins with salmon! I want to try a salmon dish with one of your family’s marmalades next time. Does a salad count as cooking?! In Mandarin Orange and Cashew Chicken! I’ll use a can of mandarins in a cake. Drain and save the juice and mix with oj to get the required amount of liquid and then mix the mandarin segments into the batter. I totally forgot to post the winner here for Mason! 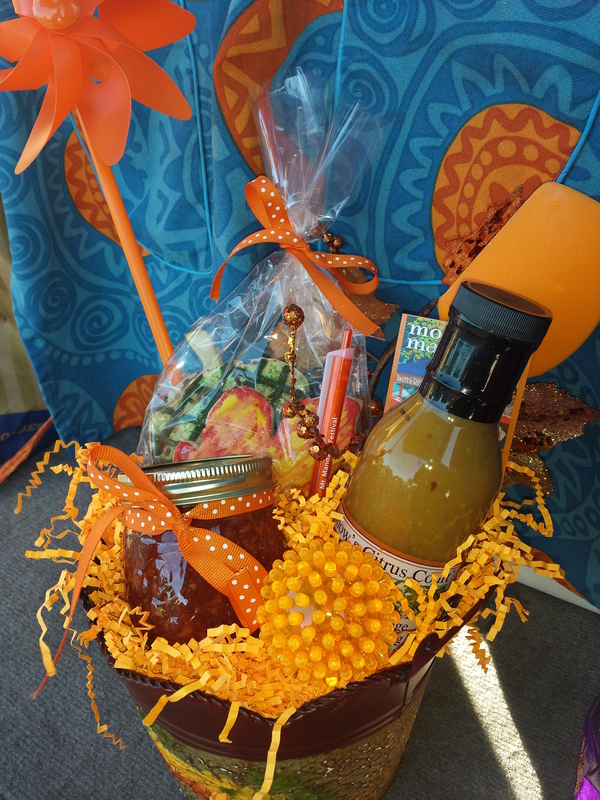 Marcy Wacker won the gift basket and picked it up on Sunday at the Mandarin Festival.